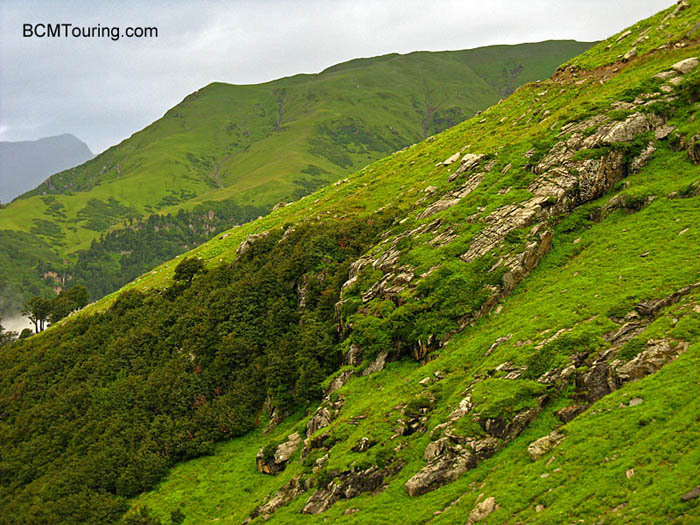 Sach Pass, located at a distance of around 127 km, is one of the more off beat places to visit from Chamba. Situated at an elevation of 4420 meter, this pass connects Chamba Valley with Pangi Valley. It is open to vehicular traffic only from late June to early October. Rest of the time it remains closed due to heavy snowfall. 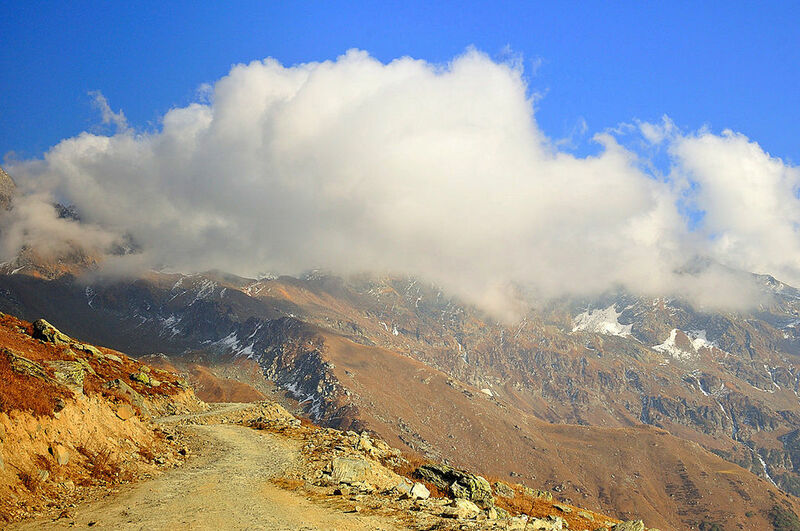 Sach Pass is a popular destination both for nature lovers and adventure seekers. Many young adventurists visit the pass on their motorbikes. While this allows them more freedom to enjoy the scenic beauty one can also reach Sach Pass by using more comfortable mode. If you opt for the later, you may catch buses for Bairagarh from Chamba Bus Stand and then proceed via rented jeeps. Otherwise, you may also try for shared taxis from Chamba; but that way you may miss much of the pleasure of travelling through a picturesque valley. That is mainly because shared taxis are generally much too crowded to allow good view of the sights around you. Bairagarh is a part of Tissa tehsil of Chamba District. 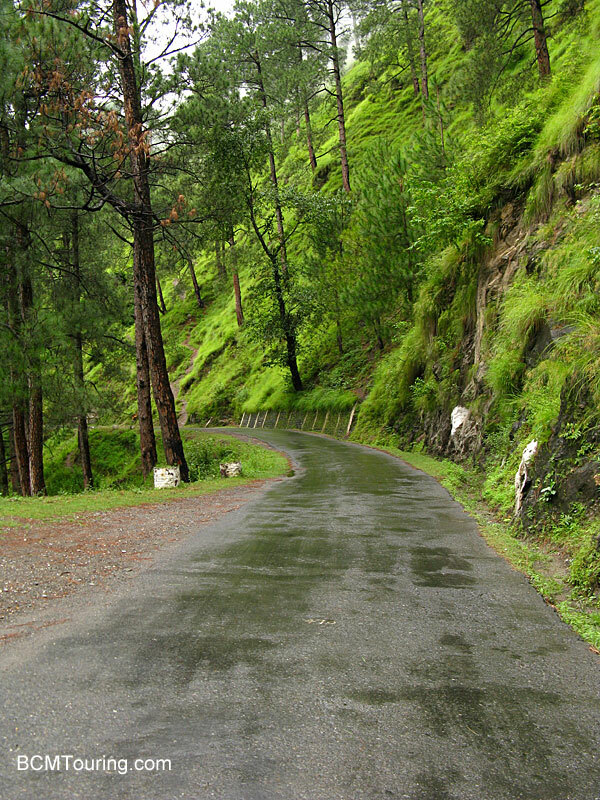 It is located at a distance of 90.8 km from the Chamba city. The average altitude of this place is around 2800 meters. However, before you reach Bairgarh, there is a place called Gati, which is famous for landslides. To be sure, if you are traveling during the rains there is a chance that you will be caught up in one and if you are, do not be disappointed. There is also a chance that the road will be cleared very soon and you will be able to proceed. Bairagarh offers good accommodations and therefore it is prudent to spend the night there. Apart from PWD Guesthouse, the town also offers homestay facilities. Mannat, owned by a local farmer Mr. Prabhdayal, is one among them. In addition, if you intend to complete the journey by motorcar, you must look for rented cars at Bairagarh. If you start early from Bairagarh, you may reach Sach Pass by afternoon and come back by 4:00 PM. On the way you will cross Satrundi (3400 meter), which around 19 km from Bairagrah. This place also offer basic accommodations, but they are fewer in number. Many people start their trek from here. In fact, before motorable road was built, Satrundi served as the base camp on the Chamba side while Bagotu (3600 meter) served the same purpose on the Pangi Valley side. It is important to note that road condition starts getting worse soon after you cross Bairagarh. A few kilometers from there, the road not only becomes steep, but is also found to be strewn with rocks and boulders. This largely thanks to rain and wind, which are prone to erode surface materials. Fast flowing streams (mostly created by rains) coming down the hill slopes add to the nightmare. Therefore, if you driving your own vehicle, you must be very careful and if you are in a rented vehicle, you must not insist on higher speed. Sach Pass is located at a distance of around 13 km from Satrundi. Although the road condition is far better in this stretch than the last one, initially it is quite steep. If you are hiking you will be required to take quite a few stops. Those traveling on motorbikes also need to stop quite a few times and allow their vehicles to cool. As you travel higher you slowly rise above the tree line. Instead of tall deodar trees you now find field of alpine grasses stretching in all direction. Slowly, they too disappear and you see boulders strewn all over. The area is almost barren. Of Course, in some corner you may also see a small plant peeping out from crevices; but that is very rare. Slowly you reach Sach Pas. The scenic beauty all around is sure to mesmerize any sensitive soul. However, the pass is not at all devoid of human presence. There is a small temple on the pass. It is customary to offer a piece of red cloth at this temple and tie part of it on the trident (trishula) on top of it. The other part is tied on the traveler’s wrist as a divine blessing. A tea shops also functions here from July to September. It sells basic items such as tea, biscuits, noodles and some local snacks. Once you have reached Sach Pass, you have two options in front of you. Either you may go back to Chamba by the way you came. However, trekkers to Sach Pass generally cross over to the Pangi Valley and reach Killar, the main town in the valley, via Bagotu. From Chamba to Sach Pass is OK, but no road after going few Kms from Chamba. One can stay at Bairagarh and then proceed to Satrundi and Sach Pass. From here either come back to Chamba or go to Killar if yu pan to go to Rohtan Pass then from Killar to Udaipur, Kellong , Rohtang and manali. But no road at all till Kellong except few Kms before Kellong. But Sach Pass is a very very tough and dangerous stretch. Own motorists should keep sufficient food items water and petrol other than full tank of their vehicle. No children and ladies. But not advisable to visit this place. Dalhousie Khajiar or Dharamshala are far better. Never take your own vehicle because if broke down then it will be a hell. At Satrundi govt. should give instructions about the stretch over a big Notice Board.